If you are like me, it is hard to imagine that today we mark the 17th anniversary of 9/11. I remember that tragic September day as if it were yesterday. Each year, time should be taken to reflect on the nearly 3,000 lives lost, and to honor among those our colleagues lost in response to that cataclysm. 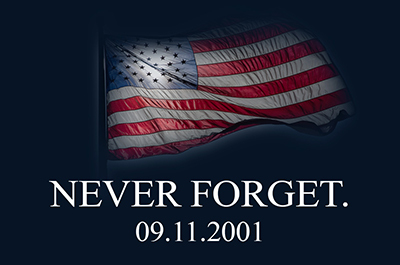 The bravery of the firefighters, law enforcement officers, EMS personnel and other public safety personnel on that day is something America will never forget and always be grateful for. Their courage and resolve inspired many to public service and pushed those already serving to help their communities better prepare for any circumstance. FirstNet, America’s nationwide public safety broadband network, is one of those efforts that derived from the events on 9/11. For the past six years, I have had the honor and privilege to serve my fellow first responders and represent the EMS community on the FirstNet Board. With each step taken to bring FirstNet forward, we strive to honor the legacy of those first responders who led the way while providing public safety the tools they need to confront emergencies wherever they happen – now and in the future.